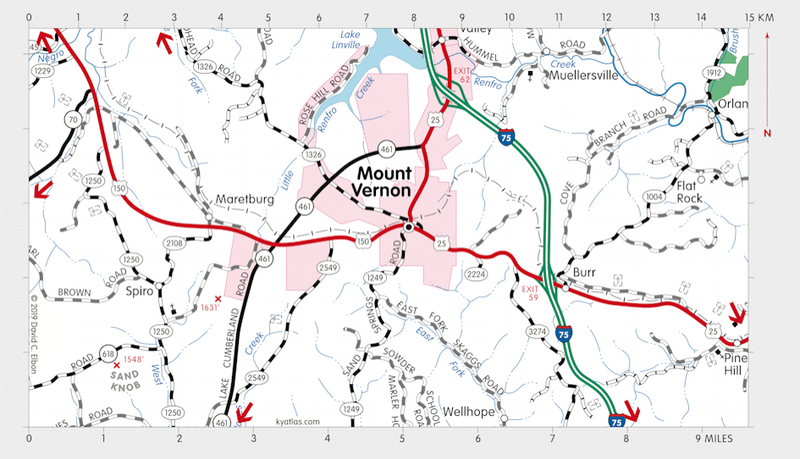 Mount Vernon, the seat of Rockcastle county, was founded in the late eighteenth century and named for George Washington's home. The settlement was originally known as White Rock, for a local rock formation, but it came to be known as Mount Vernon around 1810. Mount Vernon was incorporated in 1818. The Mount Vernon post office opened in 1811. The population in 2010 was 2,477.